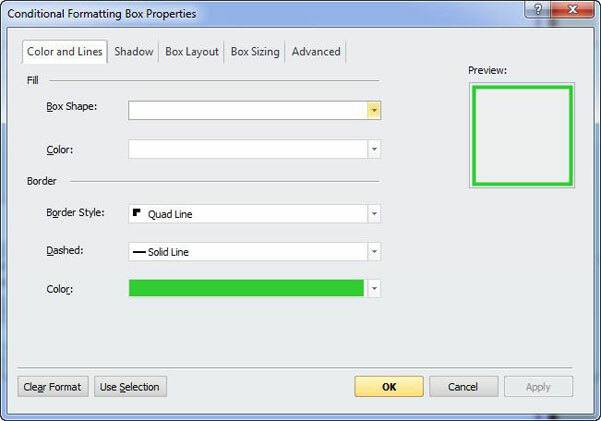 Step 1: Apply the Span of Control view template to your chart. 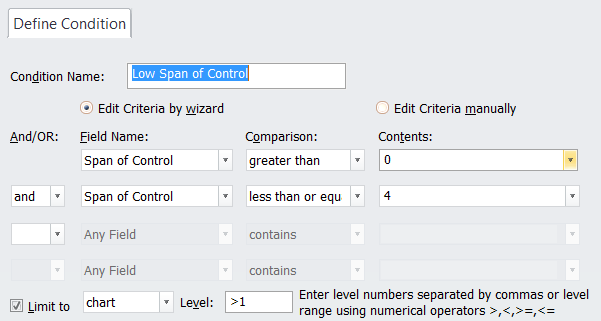 Step 2: Define a conditional format for Low Span of Control. 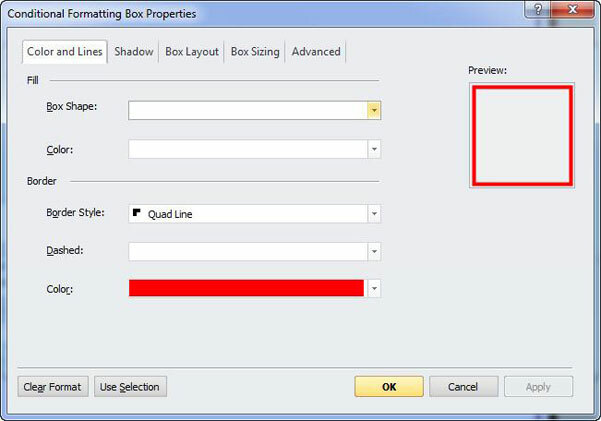 – On the Home menu, select Conditional formatting; Click Add; Define the criteria for Low Span of Control (see example below). 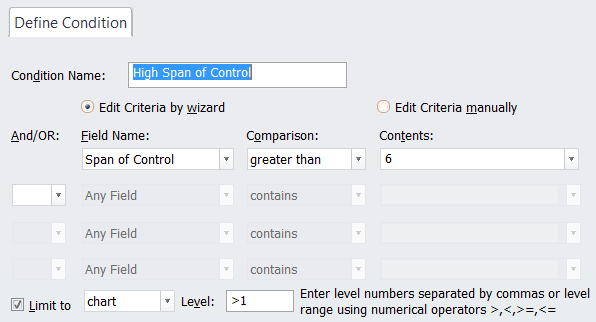 Step 3: Define a conditional format for High Span of Control. Now you can see at a glance which managers have a high span of control and which have a low span of control, and start planning changes.